Cureplex is a new product in the Hair industry and it is set to revolutionize the way we do hair. Does not act as a barrier against the lifting process. 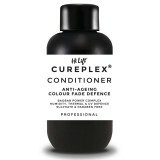 Cureplex is your assurance with hair colouring, bleaching, highlighting, straightening, perming, balayage and ombre'. 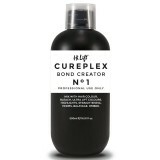 Hi Lift Cureplex Bond - Lift BLEACH 500g - Dust Free Powder Lightener Cont..
NO MORE HAIR BREAKAGE! CUREPLEX CHANGES EVERYTHING! 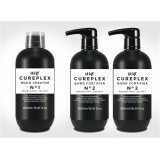 Cureplex is a dual action revo..
NO MORE HAIR BREAKAGE! 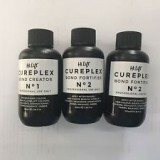 CUREPLEX CHANGES EVERYTHING! 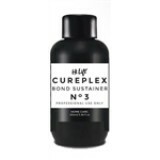 This is a product like no ..
Hi Lift Cureplex No. 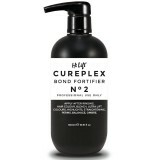 4 Leave-In Moisture Treatment repairs, strengthens and transforms the ha.. Contains: No 1 Bond Creator 500ml x 1 No 2 Bond Fortifier 500ml x 2 .. Contains: No.1 Bond Creator 100ml x1 No.2 Bond Fortifier 100ml x2 .. 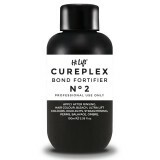 Contains: No 1 Bond Creator 500ml x 1 No 2 Bond Fortifier 500ml x 2 No 3 B..